Allotment is on First Come First Serve Basis. 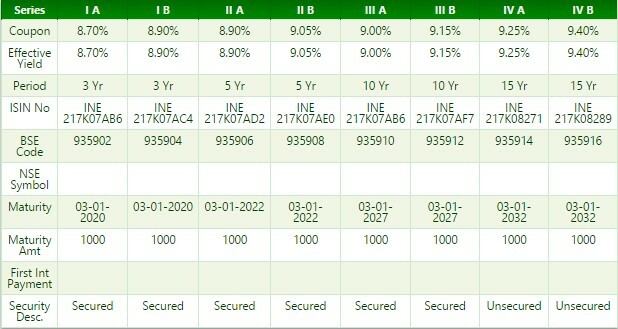 Security and Asset Cover - (Unsecured Option) No security will be Unsecured NCD in the nature of Subordinated Debt. The Company has marketing and distribution network, with a presence across 100 locations though 43 branches, throughout India as at 30 Sep 2016.